Pray this out loud over your children and grandchildren. 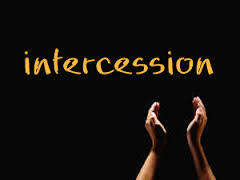 Intercede for them. Even if the fruit is not seen immediately, be that praying parent or grandparent that makes such a difference and becomes a part of their testimonies later in life. 1 My child, never forget the things I have taught you. Store my commands in your heart. 2 If you do this, you will live many years, and your life will be satisfying. Lord, I pray that you would help my children and my grandchildren to remember all that they have been taught from your Word. Regardless of how much or how little of it they have heard, may it take root in their hearts and in their spirits. Bring those words to their remembrance. May those words stir something inside of them to want more of your Word. May those words convict them when they are walking on the wrong paths in life, making poor choices. May they not be able to get away from the truth of your Word that is in them. And let the day come when they feast on your Word, when they live by your Word, when they love your Word…when your Word has complete authority in their lives. For only then will their lives be truly satisfying. 3 Never let loyalty and kindness leave you! Tie them around your neck as a reminder. Write them deep within your heart. 4 Then you will find favor with both God and people, and you will earn a good reputation. And Father, I ask that loyalty and kindness would be virtues found in their lives. Let that loyalty not be ill-directed, but may it be a profound loyalty to you and your Word, and to those who follow your word. Then let their loyalty to these cause kindness to overflow from them towards all. Selflessness in the place of selfishness. May these virtues flow from deep within their hearts. And as they exhibit them, Father, may they find the favor with you and man that your Word promises here. May they live as ones with good reputations, reputations that are above reproach. Finally, for today, I pray that my children and grandchildren will grow to trust in you with all of their hearts, holding nothing back. May they not depend on their own understanding, logic, emotions or reasoning. But may they seek you and your will in all that they do. I pray that they would desire your will for their lives more than any other path they could take. Call them to this. Woo them by your Spirit. Show them which paths to take. Show them their destiny in you. Show them the purpose to which you have called them. And may a passion for these rise up in their souls. Let it be, Lord. Let it be!